Beekencamp | low voltage task lighting. Low voltage task lighting - Beekencamp. 12 volt AC current travels through the aluminum structure and is safe to the touch. 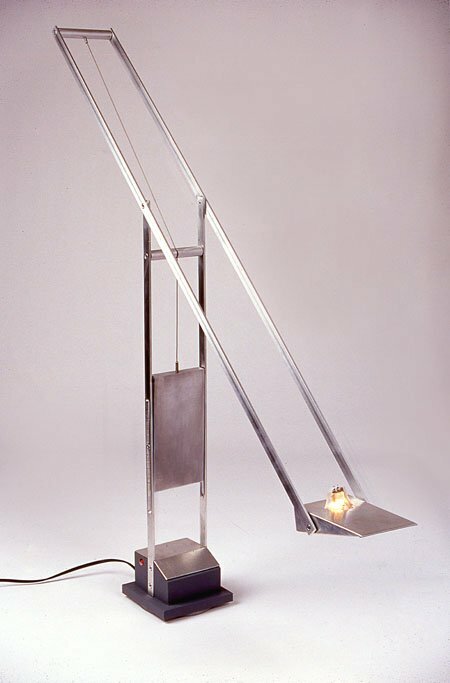 The light arm and head are balanced by the counterweight on the horizontal axis. Vertically the whole body swivels 360 degrees.